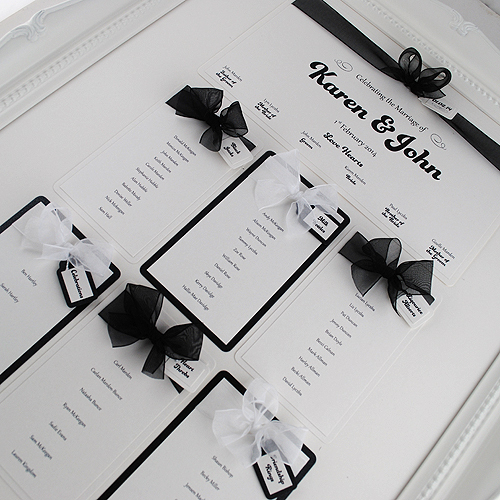 I just had to share this super stylish black and white wedding stationery made for a wedding held this weekend. 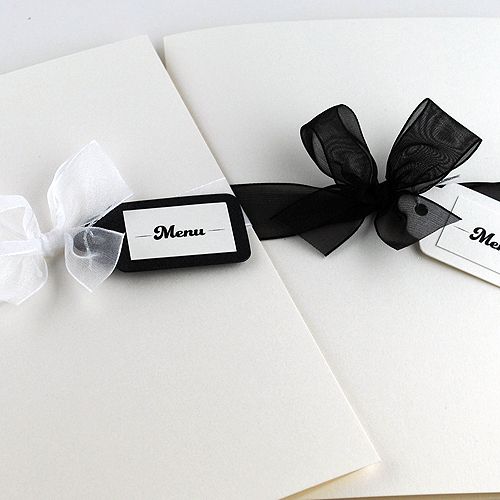 At our clients request the place cards, table names and menus were made in a mix of black and white organza ribbon and card to coordinate accordingly with their table decor. Made up in our best selling Eros collection with cute organza bows and mini luggage tags this monochrome colour theme would work well across any of our collections. 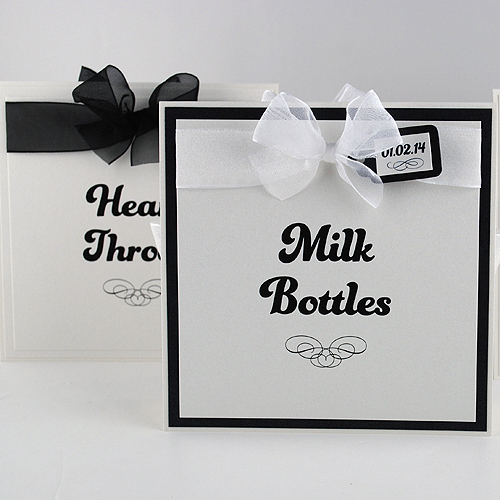 Black and white monochrome stationery is a undoubtedly a timeless theme appropriate for any season. 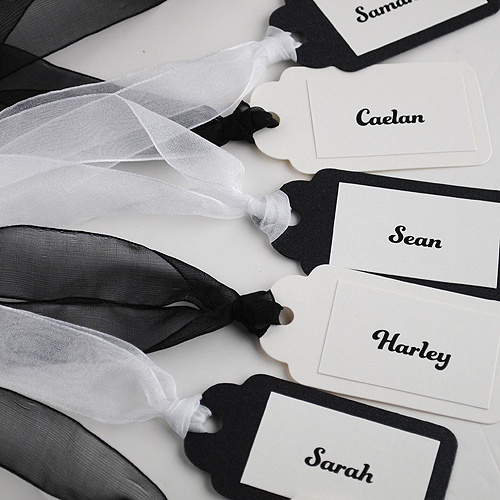 However for me there is something perfect about a clean, crisp black and white colour palette for a February wedding. I always consider February to be a month of new beginnings with the gloom of January behind us, signs of spring around the corner and all the latest fashions of display on runways around the world.